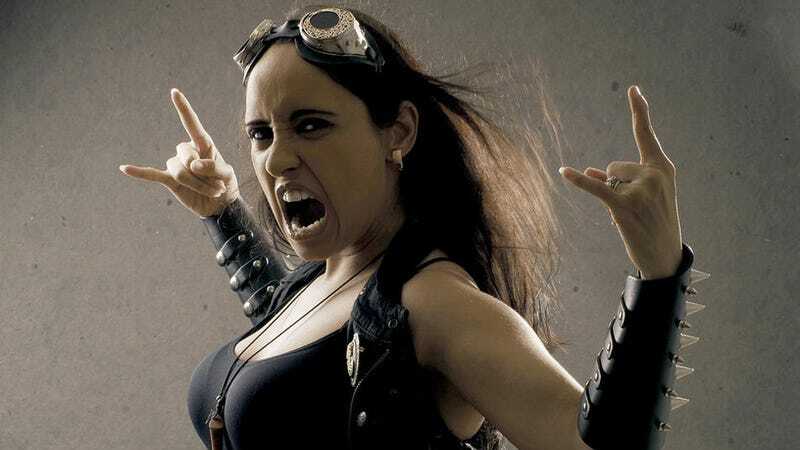 What Is It Like to Be a Woman Who Sings In A Metal Band? Programming note: Nina Osegueda, aka Jezebel commenter DuchessODork, who is the lead vocalist in the band A Sound of Thunder, will be conducting a Q&A right here, tomorrow at 2pm Eastern. Ask her about the music biz, the rock'n roll lifestyle, what it's like to go on tour with a bunch of guys… And she just might answer.